I’ve lived in the same county in Virginia my entire life. I attended George Mason University and graduated with a bachelor’s in Psychology. I also have a Certificate for Technical Writing. As just one of many cousins, I was born into a very close and large extended family. With an older brother, Thomas, I am the middle child with a 12 minutes younger, identical, twin sister, Heather. When we were eight, I was diagnosed with psoriasis. My sister didn’t get it until we were 19. It is a lifelong auto-immune disorder that has affected every aspect of my life. It has definitely shaped who I am and pushed me towards creative outlets. My companion as I pursue these creative outlets is an adorable, 16 year old dachshund named Oscar. I’m returning to old manuscripts as well as working on the sequel to Claire Voyant. My teachers suggested I journal about what I was going through medically. I don’t really like writing about myself so I went the fictional route, giving my main character the same health problems. That manuscript has been completed for a while but it needs to be rewritten and the medical facts updated. When an article I wrote was published in the Psoriasis Advance magazine in 2004. The story for Claire Voyant came to me in a dream. I prefer writing in first person and letting the story form on its own. I’m what they call an organic writer. I have a brief plan but I let the story tell itself. I actually had the title before the story started to form in my head. 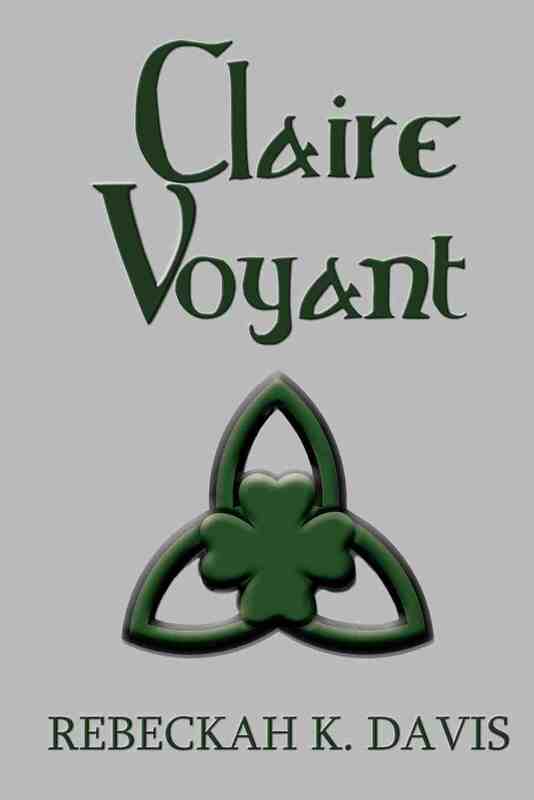 I just knew I wanted to write a story about a girl named Claire Voyant. Even if things don’t always go as planned, it will work out eventually. I’m trying to keep it as realistic as possible around the fantasy. I like stories that have a sense of plausibility and can fit around true locations. Somewhat. I have lost both of my grandmothers so I use the emotions and pain from my own experience for Claire. Unlike Claire’s parents mine are still married but I’ve seen what divorce can do through my friends and cousins. I personally don’t see ghosts. To Kill A Mockingbird was my first favorite book. It still is. It is a call back to history our country, our society, can’t escape. It’s all perspective. Writing is a depiction of the perspective of a person. That’s a powerful thing. The English teacher that introduced me to it always encouraged my writing, even after I graduated from high school. Forever, the fifth book in the Unfortunate Fairy Tales Series by Chanda Hahn. Chanda Hahn and Lori Brighton are both very entertaining. They each have a different perspective on fairy tales and vampires, respectively. I returned to the first manuscript that I wrote years ago titled Any Given Moment. It’s time to get this one completed and published. I intend to rewrite it at the same time as I work on the sequel to Claire Voyant, Believe In Me. My best friend, Jessica. She has always been very supportive of my writing. Yes, regardless of the money or lack thereof. I wouldn’t have put specific birth years on some of my characters. It holds the book to a specific timeframe. When I was young, just learning how to write, I would compose little poems or stories on post-its for my grandfather. It continued from there. I’ve been writing ever since. Making sure every aspect and little detail flows and works through the main storyline. I enjoy Meg Cabot’s work. She varies in genres and knows how to pull readers in. Some. The series takes place in the suburbs of Philadelphia, where I have extended family. I live in Virginia so I have to go up for visits here and there to have a more realistic setting. My best friend, Jessica and I created it together. Writing it was easy. Editing and not second guessing my choices was the hard part. I had to be confident in my decisions. Also making sure I didn’t miss the tiny details. I wanted consistency and flow. I learned to pay extra close attention to the small details, such as character descriptions and the timeline. In order for the story to flow correctly all of these details needed to be in place. If you believe in your story and yourself it will propel you forward. Support from loved ones helps too. I wouldn’t have published if they hadn’t encouraged me. Thank you for your support and love for Claire. She’s a great character and this is a fun series to write. Also, thank you for your patience as I work on the sequel. I hope to have it done soon. I’m sure it was something by Dr. Seuss. The first full novel I read was probably The Boxcar Children by Gertrude Chandler Warner. I’ve read so many books in my life it is hard to remember. When my friends or family celebrates a milestone and emotional scenes in books and movies. Only one? I would choose Benjamin Franklin. In the sequel to Claire Voyant, Believe In Me, Spectre is pretty infatuated with Franklin. He attends all the ghostly meetings at Independence Hall and quotes him back to Claire. It would be nice to get to know him so that I could get his character just right. I enjoy painting, crosstitch and reading. Movies based on comic books or fairy tales. I enjoy tex-mex. My favorite colors are sage, kelly green and charcoal grey. I have eclectic musical tastes. It depends on my mood. At one point I wanted to be a teacher.